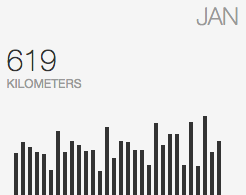 Check it out folks, I've just closed off my biggest training month ever at a whopping 619km and I feel great. It's also a 30 day streak. Nothing on what Ron Hill amounted, but I'm pretty chuffed with it.